We have all heard horror stories of patients being treated for one condition and later experience symptoms from exposure to dangerous pathogens, because of a poorly cleaned hospital or operating room. 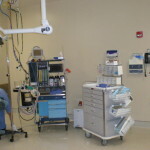 Having a highly skilled and reputable cleaning company for hospital and OR cleaning is a must. Cleaning companies must be efficient at sanitizing all touchable surfaces. If not, hospital staff and patients may be at risk. OR sterilization is necessary to reduce the number of pathogens to zero. There is no room for error. Cleaning companies such as SouthJan in Columbia, SC utilize a standard practice of OR and hospital cleaning each and every time they enter a facility. They understand the seriousness of dangerous pathogens in these environments. They ensure that all touchable surfaces are sanitized. They also understand the seriousness of cross-contamination and take steps to prevent this. Using specially colored microfiber cloths is a must. Colors determine which surfaces should be cleaned with them. Also, changing them often is crucial in ensuring cross contamination does not occur. Some companies may cut corners and not purchase enough of these specially designed cloths. This means their staff will use them on too many surfaces and increase the chances of cross contamination. 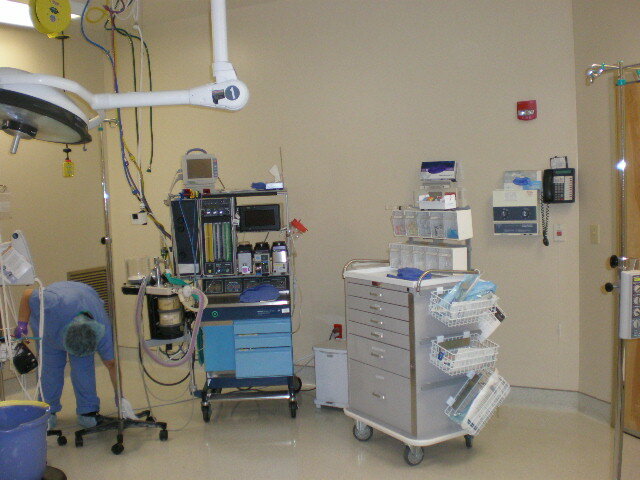 What cleaning solutions are appropriate for hospitals and surgical centers? SouthJan only uses the best and makes it standard practice to use a product called TBcide. TBcide is a trusted product in hospitals and surgical centers across the United States. Here in Columbia, SC. SouthJan uses this product for their customers. TBcide is used to ensure that your OR, hospital and surgical center is pathogen free. Hiring a cleaning company for a healthcare or medical facility that is there on a routine schedule can ensure the management of contagious diseases. This should be done on a daily basis to ensure that hospitals and medical centers are pathogen free. A cleaning company that misses even one cleaning is unsatisfactory. Lives are at stake and it is not the same as missing the cleaning of an office. Having a dependable cleaning company such as SouthJan will ensure your hospital or surgical center is pathogen free. SouthJan treats every cleaning of hospitals and surgical centers as if their relative is the one who will be going into surgery the next day. This is serious business and there is no room for error. SouthJan takes pride in the work they do and have high expectations of their staff. Factors necessary for consistency is hiring the best workers, paying a higher than average wage and the utilization of ongoing training and supervision. How does the selection process ensure a quality service? SouthJan hires locally right here in the beautiful midlands region of South Carolina. There are a number of highly skilled workers who live in various areas of Columbia, South Carolina. This includes Lexington, West Columbia, Blythewood andIrmo. SouthJan is not interested in hiring someone just because they want a job. They hire workers that take pride in their work and strive to learn. SouthJan training program is there as an ongoing support structure to ensure quality workers receive the necessary up to date training and supervision. Hiring someone on the spot and sending them out with a broom and mop to clean a local address is not how things are done at SouthJan. SouthJan chooses the best of the best to clean surgical centers and hospitals in the Columbia, South Carolina area. Their employees must not only go through a thorough background and drug screening, but also they must demonstrate ongoing knowledge of the work they do. This involves ongoing training of the most up to date cleaning solutions and practices. Just as doctors and medical staff need continuing education credits to maintain licensure, SouthJan employees who clean hospitals and surgical centers need ongoing continuing education as well. SouthJan commercial cleaning employees need ongoing education on universal precaution, blood borne pathogens and sterilization practices using OSHA standards. SouthJan is focused on standard practice. Standardization ensures that cleaning of facilities is at the highest level each and every time their employee step into a building. It is the standard practice that determines what the employee do when they enter a building, what they do while cleaning and what they do when leaving. There is no room for error. SouthJan demands the highest level of worker behavior and practice each and every time they service an account. This is what sets SouthJan apart from other cleaning companies in the Columbia, South Carolina area. This ensures that the surgical centers and hospitals they clean in the Columbia, South Carolina area are done right, each and every time. Sign-up for our newsletter today to get notify about latest updates !